Barry Burkhart, a professor in the Department of Psychology, will give Auburn University’s 2015-16 Distinguished Graduate Faculty Lecture on Tuesday, Sept. 22, at 4 p.m. in 112 Thach Hall. 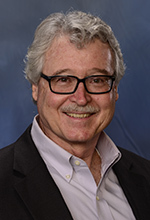 Burkhart received his bachelor’s degree in psychology from Florida State University in 1970 and his PhD in clinical psychology in 1974, also, from Florida State University. He has been on faculty at Auburn since 1974 and is a former chair of the Department of Psychology. His main research interests center around the assessment and treatment of problems resulting from violence and victimization. Burkhart is the 41st lecturer in the Distinguished Graduate Faculty Lecture series, which is jointly sponsored by the Graduate School and the Auburn Alumni Association. Since beginning in the 1975-76 academic year, it has developed into a major university lecture series that fosters a better understanding of the scholarly contributions made by Auburn’s faculty. Nominations for the honor are solicited from the university’s faculty, and the recipient is selected by a committee of graduate faculty members. The lecturer receives a $2,000 award from the Auburn Alumni Association. Following the lecture, a reception with light refreshments will be held outside Thach Hall. Students, faculty and members of the community are invited to attend. For more information about the Distinguished Graduate Faculty Lecture, visit http://graduate.auburn.edu/distinguished-graduate-faculty-lecture/.